Hi! 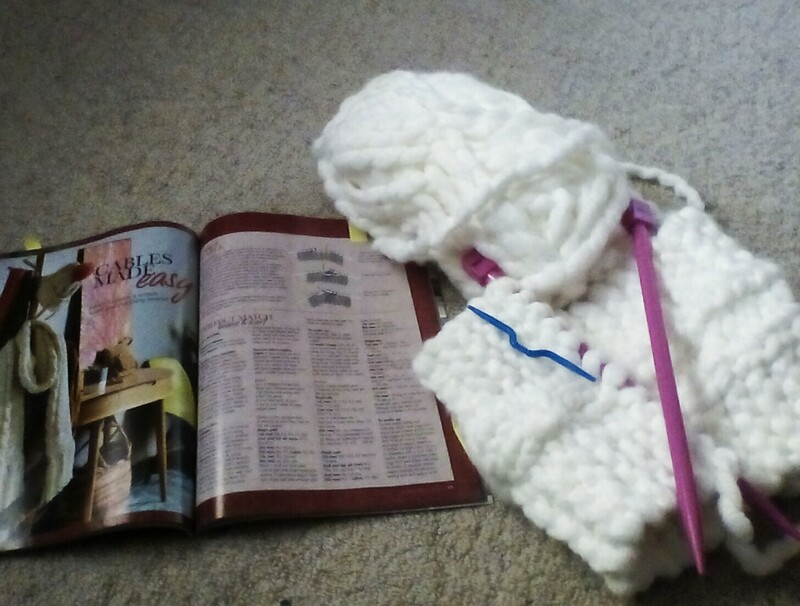 I’m Clare from Cath Creations, a Catholic craft blog featuring fortnightly posts on knitting, baking, craft ideas and more. Today I’ll show you how to make a super quick hoop scarf which I managed to finish in a 6 and a 1/2 hour car trip. You might think 6 and a 1/2 hours is NOT a ‘super’ quick project but compared to how long it took me to knit a scarf on 5 mm knitting needles (which was at least 2 weeks), it is. For this project I adapted a cable knitting pattern from ‘Better Homes and Gardens- Your Knitting and Crochet Collection’ 2015. 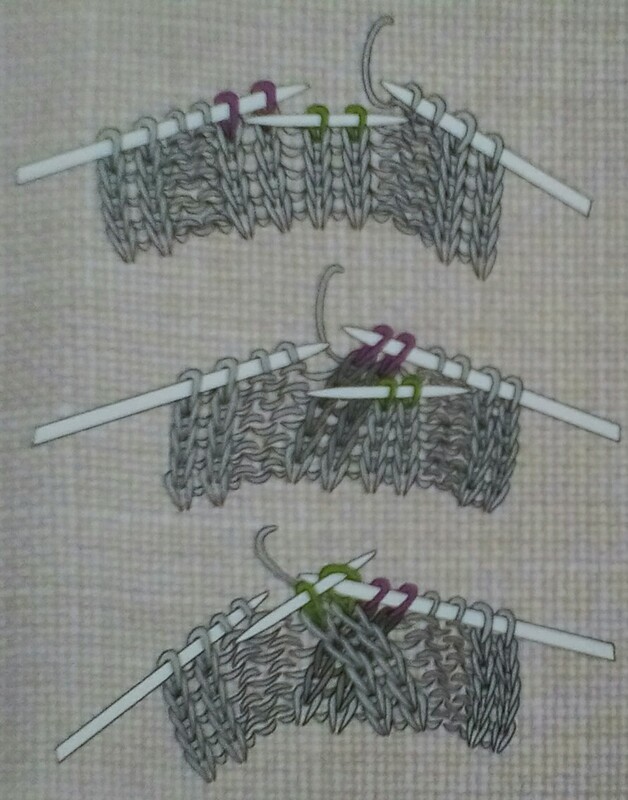 Slip the next stitch onto a cable needle and hold at the front of the work. Knit the stitch from the cable needle. Rows 1-8 include formation pattern. Continue in the pattern until the scarf measures approximately 125cm from beginning or until the work is near the end of the last ball with enough yarn left to end with the patterned row and to bind your two ends together.Cast off loosely in pattern. To create the hoop place the scarf wrong side up and bring the two ends together so the right side is now facing you and the scarf is in a hoop shape. Bind the edges together with mattress stitch using the cast off tail yarn. Usually you would do this with a tapestry needle but since the yarn is so thick just wrap some sticky tape around the end in a pointed shape instead. * Note: In the original pattern the scarf was made with thinner yarn, the same needles in this pattern, double the amount stitches and it was made as a normal scarf with fringe to go with a beanie. Cables Made Easy. (2015). Better Homes and Gardens- Your Knitting and Crochet Collection, p.83.